Each year, the MACC asks for the general public to submit button designs for the community club to consider. Then in the Fall, the Executive Board invites ALL of the MACC members to come vote on their favorite design. When voting, members are asked to judge the button designs on simplicity, creativity, and displaying community pride. The winning design is selected and production begins shortly thereafter. 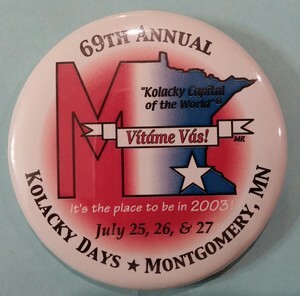 The button is unveiled after the new year so the Kolacky Queen and her court can begin distributing and promoting our celebration at the St. Paul Winter Carnival, our nation's oldest and largest winter festival. 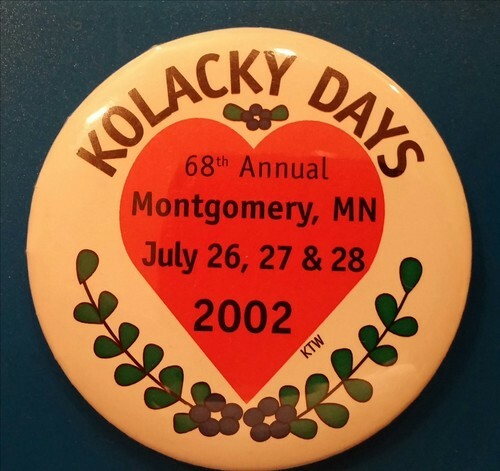 Some fun facts about the button include it's the fourth longest tradition of Kolacky Days. 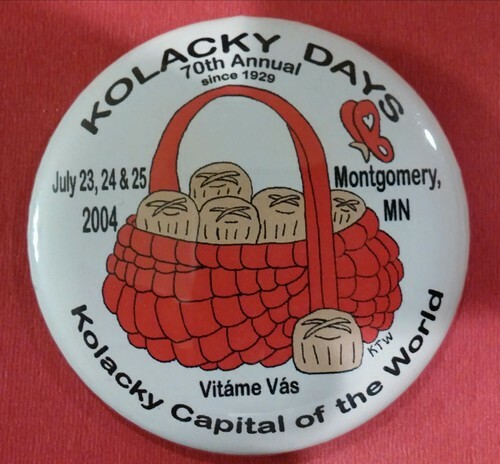 The only traditions that have been around longer is the Grand Day Parade, Kolacky Eating Contest, and the Kolacky Queen Coronation. 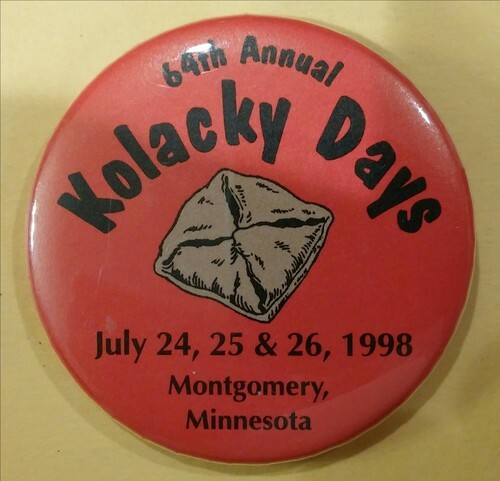 Out of the 79 buttons, 61 have had a kolacky pictured on it somewhere. Finally, the button has been fashioned with Minn. a total of 31 times, but has not appeared on the button since 1982. A total of 25 buttons have MN, 17 have Minnesota, and 6 make no reference to Minnesota, but do mention Montgomery. 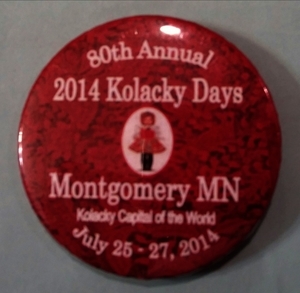 Back in October 2018, the Montgomery Area Community Club sought designs for the upcoming Kolacky Days Celebration! Lisa Ingebrand, a first time winner, submitted the winning design! MACC President Washa stated, "We had 11 great designs this year to choose from and after all the votes were counted, one design ran away with a majority of the votes."